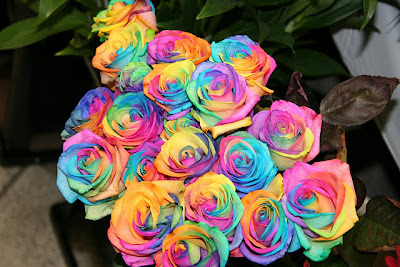 These are not artificial roses! 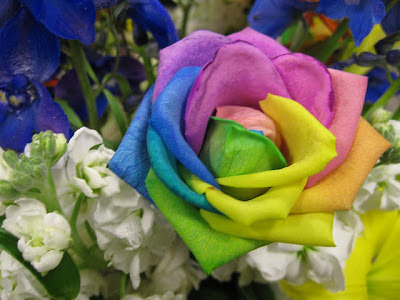 The Rainbow Rose is now available in the UK for the first time and although you may think that these weird and wonderful blooms are painted or artificial they are one hundred percent natural. Almost. Well, ninety nine percent. Well, OK, they have been messed with, but not, as you may expect, on a genetic level. It seems that there is a little science involved in this rather expensive rose - a single one will set you back over thirty US dollars. 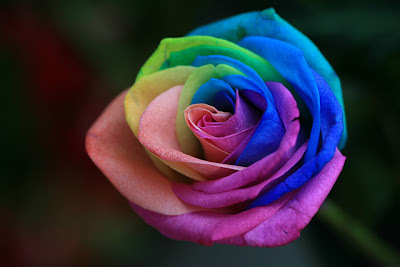 They are also known as the happy rose and their rainbow colours come about when plant extracts are injected in to their stem. A sort of botox for roses in a way. The extracts travel up to the rose where they act as a type of dye. The petals of the rose turn from their natural colour to what you can see here. 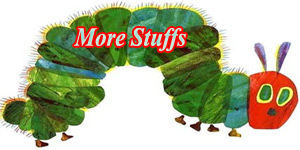 Although the result is certainly, well, different, it seems like an expensive gimmick to us here at Kuriositas. Don't they know there are starving children in Peckham?